With extensive experience in commercial carpet cleaning, in-situ curtain cleaning, stain removal, flood damage control and much more, have confidence in the expert skills of the team at Apple Clean. For professional and affordable cleaning services for properties in Reigate and throughout the UK contact us today! Hi, I’m Jonathan and for over 25 years I’ve been supplying carpet, curtain and many other cleaning services to homes and businesses in and around Reigate. My beliefs have always been that the best way to success with a local business is to offer an exceptional service which is both professional and personal, giving great customer service and achieving excellent results. Give me a call today and I’ll explain what we can do for you and I’ll give you honest and realistic advice. At the same time you can get an instant no-obligation quote. Give us a call us now on 0800 587 4571 to find out more about the cleaning services we provide to homes across Reigate and how we can help you. With over 20 years’ experience providing first class cleaning services throughout Reigate and the surrounding areas, Apple Clean are proud to offer expert advice and specialist services on a daily basis. With extensive experience in commercial carpet cleaning, in-situ curtain cleaning, stain removal, flood damage control and much more, have confidence in the expert skills of the team at Apple Clean. We endeavour to provide stunning results every time to ensure that whatever your issue we provide an expert service whether it is small time stain removal to full rug and upholstery cleaning. 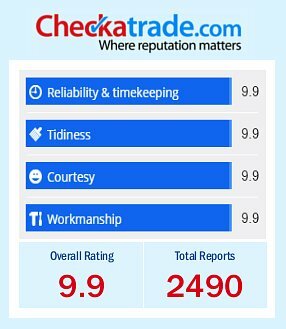 As proud members of Checkatrade we rely on complete customer satisfaction and take pride in providing an excellent service at a competitive rate. We accept projects of any size, so no matter how big or small your job is we will be on our way to help. 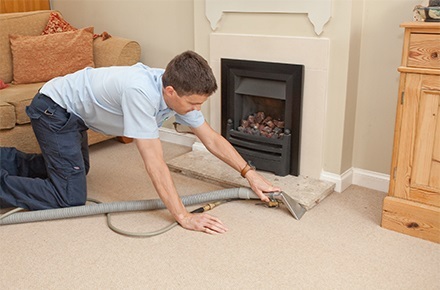 Whether you suffer from allergies and need harmful dust or mould removing or you are at the end of a tenancy and need a full carpet cleaning service, Apple Clean provides expert assistance, ensuring that all carpets are cleaned and sanitised, leaving you with a fresh, clean looking and clean smelling home. 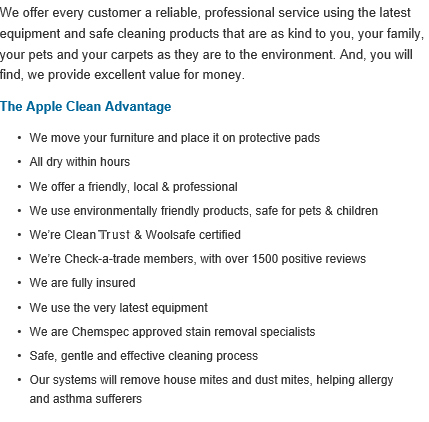 As a locally based, independent business have confidence in the reliability of Apple Clean. We use the latest cleaning equipment and products, taking special care of the material of your project so that we don’t harm any carpets or upholstery that we clean. Leave it to the professionals. 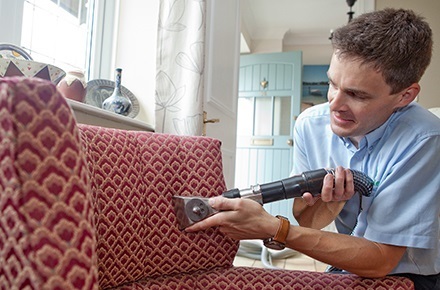 When using over-the-counter cleaning solutions or attempting a DIY clean you can in fact be putting harmful solutions on your upholstery and this can do more harm than good. With extensive experience cleaning and sanitising a huge range of different fabrics, materials and finishes, Apple Clean uses the best possible cleaning solutions for the job leaving it cleaner, safer and looking spotless, every time. For more information about the range of services we provide to homes across Reigate and further afield if necessary, simply give Jonathan a call on 0800 587 4571. Save yourself a lot of time and stress by calling in the professionals. You can also contact us by completing the form on our Contact page. Simply fill in your name, your contact details and your query or request for us and we will get back to you as soon as possible. Apple Clean endeavour to provide you with excellent cleaning results, every time. We look forward to hearing from you soon. We also cover all surrounding areas including Surrey.